Playoff fever is hitting the team for both veterans and newcomers. The Bruins are chock-full of second season players that had their real first taste of playing in the Playoffs last year as a Bruin. And much to the delight of fans, defenseman Brandon Carlo will finally play in his first Playoff game. 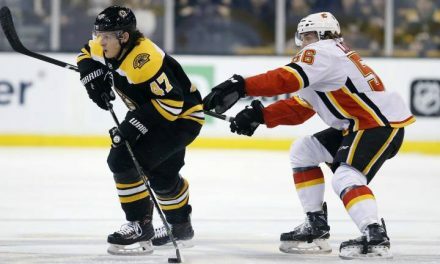 Weymouth-native Charlie Coyle and Walpole-native Chris Wagner will debut in their first Playoff game in a Bruins uniform. Both have contributed immensely to Boston’s success towards the end of the season. The Bruins ended their season with 11 wins and seven losses, posting a 49-24-9 record with 107 points. They went 3-1-0 against the Leafs this year, however Toronto has a slight edge over the B’s during the Playoffs at 8-7. Brad Marchand finished the season with a career high of 100 points, David Pastrnak finished with 81 points while Patrice Bergeron finished with 79 points. 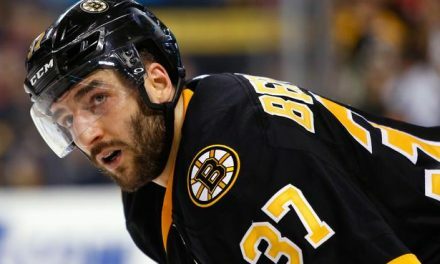 David Krejci, whom Cassidy calls an “underlying MVP”, has played in almost every single game this season with 81 games. Krejci has quietly been (along with Marchand) one the teams greatest play maker this season, with 53 assist-a career high for the Czech-born players. Back in the 2008-2009 season, Krejci had 51 assists. 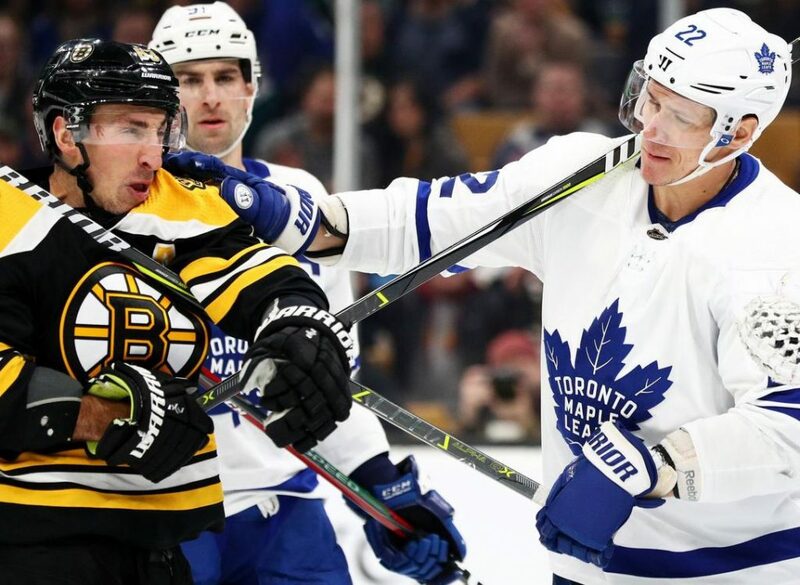 Toronto has had the misfortune of losing to the Bruins in critical games during the Playoffs, however are hoping to exorcise that demon with the the addition of John Tavares. Along with Tavares, the Leafs have added more to their depth that includes Auston Matthews and Nazem Kadri. Tavares ended his season with 47 goals and accumulating 88 points. The Leafs finished the season with 100 points and third in the Atlantic Division. They are eight in the league for the power play at 25.8%, and ranked fourth in the NHL in goals per game at 3.49. Much like Boston, Toronto has a roster of young talent that have netted 20 or more goals. Auston Matthews netted 37 goals, while Mitch Marner had 26 goals. Kasperi Kapanen, Zach Hyman and Andreas Johnsson have all scored 20 or more goals this season for the first time. 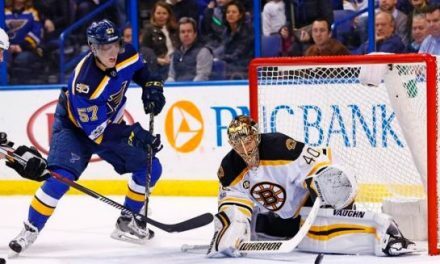 Marner has nine points against the Bruins during the Playoffs; Pastrnak became the youngest NHL player in history to net six points in a playoff game last year-breaking a Wayne Gretzky record. 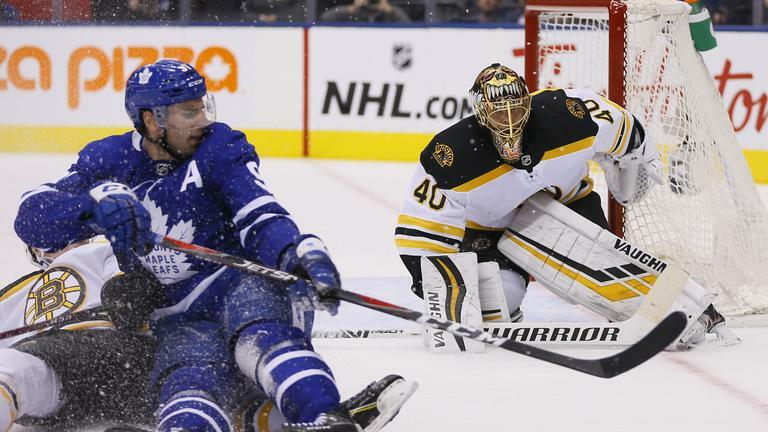 For Toronto, shutting down the Bruins first line will be a huge focus, as well as goaltending. For Boston, they will need to limit the movement of Tavares, Matthews and Kadri. Expect Frederick Andersen in net for Game 1 for the Leafs. In the final few games of the season, the Leaf’s number one goalie went .898 in save percentage-reminiscent of last postseason against the Bruins, where he posted a .896 save percentage. Unlike the Bruins, Toronto has had a bit more tougher time in regards to having a reliable back-up goalie. Garret Sparks has gone through a rough skid, and re-joined the team yesterday. He continues to work with the goaltending coach for 10 days. Michael Hutchinson, who had been elevated as Andersson’s back-up, missed practice due to his wife giving birth. Rask’s record has dipped a little with the lowest being a .762 save percentage in the last game against Tampa Bay. Last postseason run against Toronto, Rask had a .899 save percentage. Expect Rask in between the pipes for Boston tonight.